Mom: Suzy! Eat more broccoli!!! (This was the 5th time she said it). Suzy: Ma, c’mon, I don’t want a goitrogen. Mom (in thick French accent): Hah? Why don’t you like going to the gym? Suzy: No ma, I said goitrogen! I like going to the gym! Mom: Well then, after you eat that broccoli, you can go to the gym! EEEEAT! You can just hear her hollering at me, can’t you? She had no understanding of why I refused to eat a plateful of raw broccoli. Why would she? We’ve always been told that broccoli’s good for us, and up until that day, I had never refused it. I fell in love with broccoli around the age of 19, and even today I’ll pay the extra buck to add it to my Green Curry, or Moo Goo Gai Pain, or whatever. It’s cooked, keep that in mind, becuase there’s one big concern with broccoli for people like me who have thyroid issues: it is a goitrogenic food in it’s raw form. A goitrogen is a compound found in a food or beverage that could ultimately cause a goiter, which is a swelling in the neck due to an enlarged thyroid gland. It’s painful and unattractive, and it comes with a lot of very unpleasant symptoms. Broccoli’s siblings (meaning other related fruits and veggies) can do the same thing. Kale is a big one. Almost every one I know puts a leaf of raw kale in their smoothie. Kale is high in natural folate, so it’s everyone’s favorite food if they have a methylation SNP in their genes. But too much raw kale will backfire because kale is a goitrogen. Juicing or drinking kale (or other goitrogenic foods) every day will give you that mighty folate (yay) but it could suppress iodine uptake to the point of illness (bummer). You’d never connect it to your “healthy” drink would you?! Like dozens of otherwise-healthy foods, especially in their raw form- attacks thyroid function. I AM GOING TO GET A TON OF FLACK FROM PEOPLE WHO ARE IN THE BUSINESS OF SELLING YOU THEIR GOITROGENIC FOODS AND DRINKS. I’M TELLING YOU THIS NOW, IN CASE THE COMMENTS BELOW REFLECT THEIR HOSTILITY TO ME. BUT I NEED TO TELL YOU GUYS THIS, THEY’VE GOT A BUSINESS TO RUN, OR A BOOK TO SELL, AND I DON’T. I’M SELF-FUNDED AND I AM ONLY CONCERNED ABOUT YOU. PERIOD. NOW, YOU CAN READ ON… and leave me your own comments at the end of this article. Goitrogenic foods include cruciferous vegetables such as kale, broccoli, cabbage, Brussels sprouts. Some fruits, nuts and seeds contain goitrogens as well, like peaches, strawberries, pears, peanuts, soy and flax. A complete list is at the end of this article. It’s not that goitrogenic foods are bad. I want to make the point that they are NOT BAD. I have promoted them for years, as superfoods. They are. But in their raw form, and in large amounts, they can affect iodine levels. It’s a fact. THAT IS NOT MY OPINON. They contain healthy sulfur-based compounds, as well as lots of other nutrients. I recommend you eat them, but cook them first okay? That said, if you have (or are afraid of getting) thyroid disease, they are a BAD MATCH for you. Many of you have dealt with thyroid disease and now that you are well, you want to protect yourself and maintain good health. You know that healthy eating is an integral part of staying well, but what healthy eating means for you might not be what you expect. Goitrogenic compounds like “thiocyanate” can inhibit thyroid function by temporarily suppressing iodine absorption and utilization. In addition to being necessary for healthy thyroid function, iodine is critical to good health. In a study published in Clinical Nutrition Research 2014, researchers were able to confirm that blocking iodine caused a pro-inflammatory reaction against the thyroid gland (bad). The researchers found this association in several geographic regions of the world where iodine intake was low and raw cruciferous vegetable intake was high. 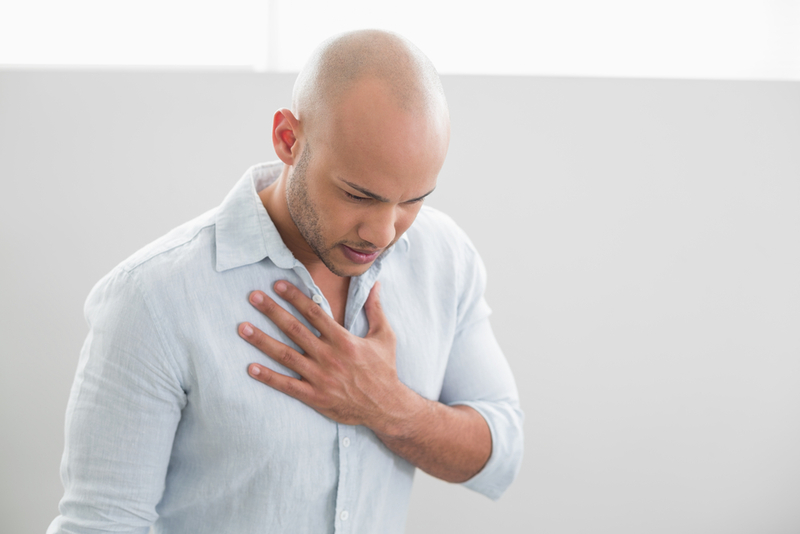 They concluded, “The consumption of goitrogenic food, such as cruciferous vegetables, showed a positive association with [thyroid cancer] risk.” When you consume large amounts of goitrogens, it can also put a lot of stress on your reproductive organs (prostate, breast). If it helps you to remember (and confessedly I’m being a bit dramatic here) those crucifers… they gonna crucify you! I’m not telling you to stop eating anything. So I want to say this right now so it’s very clear and I said it above too: You can absolutely EAT crucifer veggies if you want, they are superfoods, they should be STEAMED or COOKED and that will eliminate the goitrogenic substances. My article today is intended to warn you about these crucifers as RAW foods, or as a RAW powdered form like the sort you buy in certain green drink mixes at the health food store. Those are raw. Or when you juice raw kale or spinach, things like that. Those are the goitrogenic substances. It’s okay to eat them cooked, as much as you want. If you juice them, you are setting yourself up for a thyroid disaster, and while most medical professionals will scoff at my comment, I assure you it is true. You will feel great for probably 2 weeks, maybe even 3, depending how much goitrogen you put into your smoothie or juice drink, then, as if out of nowhere you’ll crash! 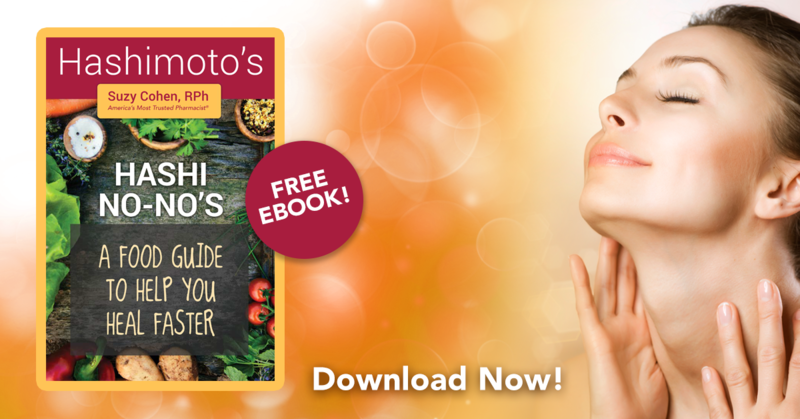 It could take you months to pull yourself back up, especially if you crash hard, or have Hashimoto’s.I have an ebook for you that is free and downloadable and it’s a food guide for sufferers with Hashimoto’s. It’s called Hashi No No’s and you can get it by clicking on the image just below this paragraph. You will receive a few more emails over the weeks, after this ebook download, but they’re all related to Hashimoto’s and FYI, I do not share emails, your privacy is fiercely protected. For those of you who don’t know this, every single cell in your body requires iodine, and goitrogens suppress iodine uptake. So every cell in your body will be impacted, this means you could feel bad and not really be able to pin a disease name. In November 2015, in the International Journal of Cancer, researchers looked at dietary patterns in people and had them answer questions about food intake during their life. A diet was designed by the National Institutes of Health in Bethesda, Maryland and the participants were followed for an average ten years. Within that time frame, 325 participants (143 men and 182 women) were diagnosed with thyroid cancer. They didn’t track the number of people who developed a goiter, but I suspect this was happening too. After evaluating all the different variables, one dietary trend in particular stood out: Higher intake of ‘cruciferous vegetables’ in mid-life doubled the risk of thyroid cancer. The researchers also noted that eating a lot of sweets like baked goodies (think cupcakes) during your teen years and mid-life could also increase thyroid cancer risk, but surprisingly, not as much as eating broccoli! I know, hard to believe. Many of you are consuming “greens” because I’ve recommended them over the years. As you might know, greens are powder GREEN blends that can be combined with water, juices or smoothies to add a healthy boost to your daily food intake. Greens can help your hair and nails grow faster, improve gastrointestinal function, bind toxins like heavy metals and help you feel lighter and more energetic. Greens are fundamental to supporting healthy blood sugar levels and blood pressure, as well as cholesterol ratios. Green powdered drink blends are considered healthy. However, many of the brands out there are loaded with goitrogens! Drinking green powdered formulas that contain these RAW goitrogens every day could cause dramatic consequences to your thyroid and reproductive organs, despite all the other benefits from these superfoods. (Again, I am not referring to eating cooked kale or broccoli or brussels, etc. I AM REFERRING TO RAW GOITROGENS FOUND IN SOME GREEN SUPERFOOD BLENDS. One of my friends who was consuming greens regularly told me her eyelashes fell out by month three and she was too tired to work full-time. I realized what was happening and told her to stop the greens immediately. I also advised she adjust her diet to avoid common goitrogenic foods. She started back on the road to health immediately, and her hair began to grow back in, but it took months for her to feel truly good again. I am still an advocate for green superfood drinks, just not those containing goitrogens. If you aren’t able to avoid goitrogenic vegetables altogether, cooking them will help, as will supplementing your diet with iodine-rich foods such as sea vegetables or shellfish (or iodine supplements – mine is available HERE). Here a list of common goitrogens. As an FYI, I’ve created a green superfood blend of powdered fruits and vegetables that is specifically designed with your thyroid in mind. It’s goitrogen free, and so unique that it’s patent pending. So instead of using commercial blends that are full of goitrogens, or accidentally messing yourself up by including the wrong thing in your recipe, you can try my blend. A little on the sweet side, people love mixing it in plain water, rather than other fruits, or needing to add sugar. You won’t have to do that it has a mild, sweet berry flavor. My blend has a probiotic blend that actually survives your stomach acid, which many do not. They don’t tell you that on the label, but we are transparent and we promise to earn your business with integrity and products that REALLY work! Check out the reviews or read the ingredients…. or buy THYROID GREENS by CLICKING HERE. FYI, this product was born because I used to suffer with thyroid illness and wanted a greens blend that didn’t crash my thyroid because all of them (almost all of them!) have goitrogens in them, they’re loaded. My Thyroid Greens is safe for people with thyroid illness.